THE Justice Minister is set to change long-standing criteria for the position of Northern Ireland’s Chief Constable, potentially widening the pool of candidates to replace Matt Baggott. Changes to the requirements for the top policing job mean that the role will be opened up to more senior officers based in Northern Ireland than ever before. Until now only officers with a minimum of two years’ service in a police force outside Northern Ireland at the rank of Assistant Chief Constable or higher could be considered for the post of Chief Constable. However a Department of Justice spokesperson confirmed to The Detail that the Justice Minister, David Ford, has written to the Policing Board to inform it of his decision to no longer make this a mandatory requirement. Mr Ford’s decision comes after the current Chief Constable Matt Baggot announced last week that he would not be staying on in this role after his contract runs out in September this year. A department spokesperson said that while experience with other police forces will still be desirable, it was no longer considered “essential criteria”. This opens the post up to Northern Ireland’s remaining four Assistant Chief Constables (ACCs). 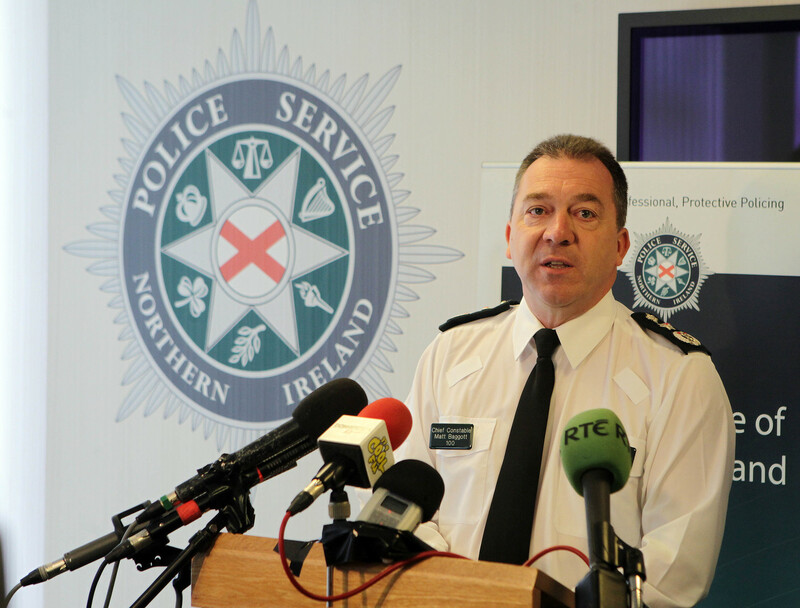 Early media speculation following Mr Baggott’s announcement had tipped ACC George Hamilton as the front runner for the role as he is the only serving ACC here who has served in this rank outside of Northern Ireland. In December 2013 Deputy Chief Constable Judith Gillespie also announced that she would leave her post in March 2014 after spending more than three decades with the Police Service of Northern Ireland (PSNI). She is currently the highest-ranking female member of the force. The two year criteria for the Chief Constable position was dropped in England and Wales in November 2012 as part of an overall reform programme. An article published by The Detail in May last year revealed that the Policing Board was considering whether or not the criteria for Chief Constable should be changed in Northern Ireland. During a Policing Board meeting in September this year it was agreed that its chief executive should write to the DOJ seeking information on any potential equality issues around the appointment criteria for the post of chief constable. The Detail asked the DOJ to comment on the issue.